I have to come clean: despite being a bibliophile, a great lover of words and language, I’ve never been that into poetry. Though I consider myself relatively well-read, or at least well-informed about literature and ideas, I feel like the vast world of poetry is one of my biggest blind spots, one in which I’ve never really immersed myself, or gotten much more than my toes wet. But I know there are some books out there that will drag me in headfirst, and I think this could be one of them. This poem is free verse — and it is, in large part, versified, but it also feels close to prose poetry. 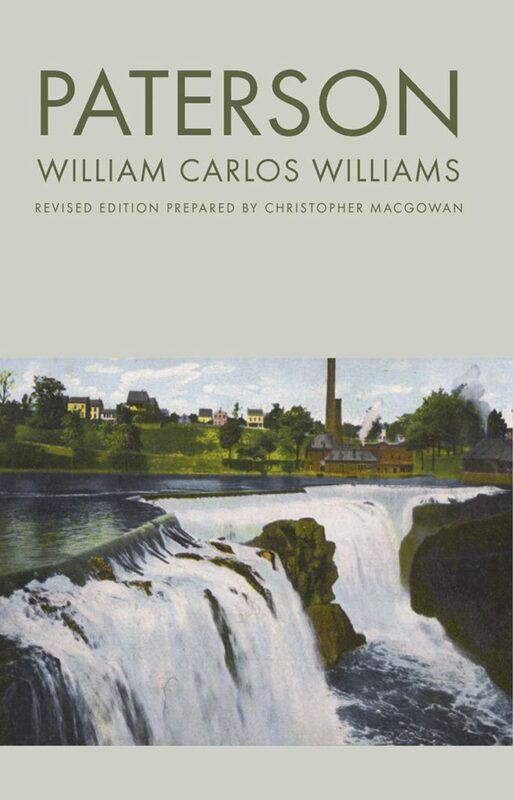 It spans five books, its structure following “the course of the Passaic River”; it is Williams’ “magnum opus”. It combines history of people and of place, carving paths through time and history and culture. At least that’s my pre-impression! I feel like with poetry it’s always hard to get an accurate impression without actually being immersed in the thing itself, the language pouring over and into you. Part of my reluctance to read much poetry is that I have the impression—fair or not, in comparison to other genres—that a lot of poetry is bad, and that bad or mediocre poetry is somehow worse than middling nonfiction or forgettable novels. But another part is that reading poetry feels hard. The degree of truth of either of these things is kind of besides the point, because clearly lots of poetry is great, and well worth the time and effort it takes to read it. One reviewer says of Paterson that “Despite its epic scope, Paterson is often chosen by nonspecialists…as the way in to a discovery of Williams’ exuberant and humane career as a poet.” Seems like a good place for a beginner poetry-reader like me to start!